The NYFA Board met in Cooperstown on April 18 to discuss future projects, field trips, workshops and other issues. Their annual members meeting will be on Sunday May 5th beginning with a tour of Nelson Swamp. See our web page on field trips for more information. The day began with a field trip to Table Rocks at the campus of Hartwick College in Oneonta where we were joined by bryologist Dr. Sean Robinson from SUNY Oneonta who helped identify the mosses. A great time was had by all. Table Rocks is located on the slopes above the Science Building but permission is needed to access the site. Board members Connie Tedesco and David Werier examine the cliff face plants while Sean Robinson looks on. The thin cross-layered siltstone and shale were amazing and covered with mosses. Dr. Robinson was eager to show everyone the different species of moss. David Werier, Dan Spada, and Sean Robinson examine the mosses. Many of the outcrops had a large amount of rock tripe lichen covering them. The view from table rocks looks out over the southwestern part of Oneonta and the wetlands on Lower River Street and Oneida Street. Steve Daniel showed us an example of the green stain fungus in wood, Chlorociboria aeruginacens. Connie Tedesco talked to us about the Hoysradt herbarium at Hartwick College that she curates. The college is in the process of deciding what to do with it. Outside the science building we saw a naturalized population of Bellis perennis, English daisy, one of two flowering plants we saw that day. The other was colt’s foot, another European import. With the delayed flowering season we are having this spring it was great to see anything blooming! A future powered by photosynthesis? Check out this research at Cambridge University that uses moss in biological fuel cells to produce electricity! Spoiler alert: it’s actually symbiotic bacteria in the soil that are powering things up using organic compounds released by the photosynthesizing bryophytes. CLICK HERE to access the blog. Here is a nice video about the basics of mosses and a way to use buttermilk or stale beer to grown them in your backyard. It runs about 2 minutes and features interpretive naturalist Rob Carr. 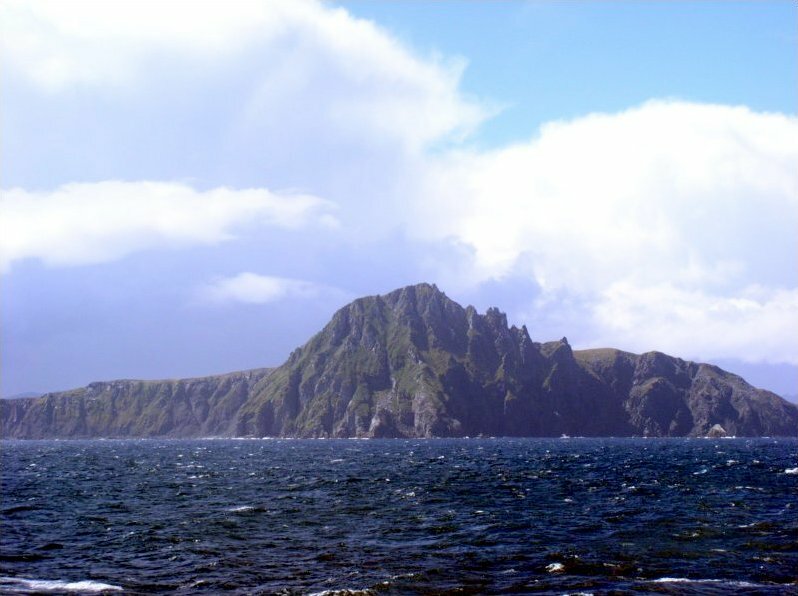 Bill Buck, from The New York Botanical Garden, is on a bryophyte collecting trip to the islands off Cape Horn, the southernmost point of South America, with colleagues that include Jim Shevock, Blanka Shaw, and Juan Larraín. An excerpt from his most recent blog post reads, “For a bryologist, this is a paradise. The biomass of bryophytes, in this area that receives about 12 feet of rain a year, is much greater than that of the trees. The ground is at least a foot deep in bryophytes and the bryophytes sheathe the tree trunks to more than twice the diameter of the trees themselves.” Wow! 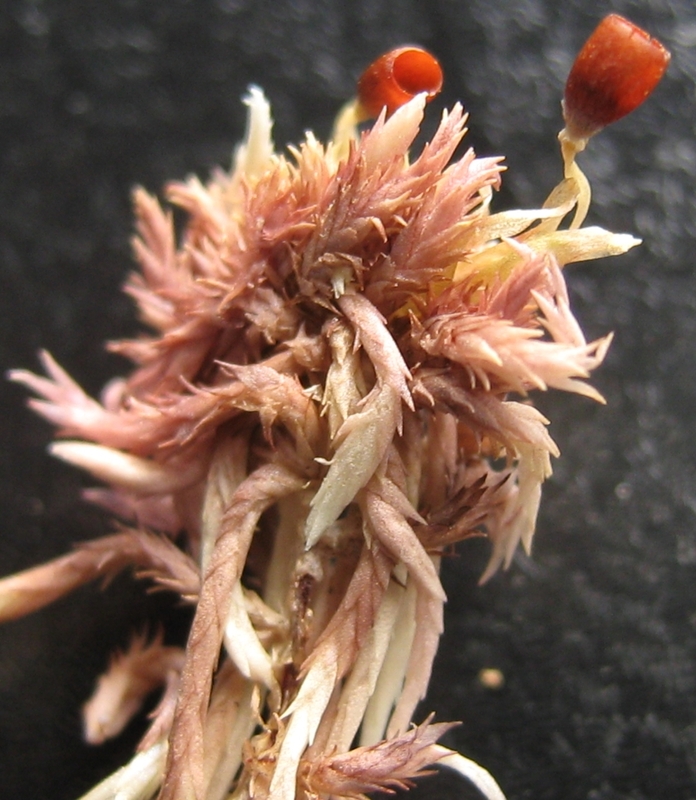 Sphagnum subnitens. Photo by Eric Karlin. There are three upcoming bryological courses and excursions this spring! They’re not being held in our region, but many bryophytes are quite cosmopolitan so it’s likely that you’d encounter species that occur in New York. Certainly the lab skills and camaraderie would be worth the trip. Intermediate Bryology will be offered by Dr. David Wagner on the University of Oregon campus on March 21-23. The objective of this workshop will be a fairly intensive practice using the contemporary keys pertinent to the area. Most of the time will be spent in the teaching lab, with an afternoon excursion on the first day for field experience. Time will be available for participants who bring personal collections to work on them under expert supervision. Tuition is $300. Contact Dr. Wagner for more information (541-344-3327 / davidwagner@mac.com). The 16th Annual SO BE FREE foray will be held in the lower elevations of the northern Sierra Nevada Mountains near Quincy, California on March 23-26. The area offers great sites for montane coniferous, mixed coniferous-hardwood forests; canyon oak forests; rocky outcrops; and chaparral, all in the steep North Fork of the Feather River canyon. There will be flat trails and roadside areas to visit for easy access. Bryophyte diversity will span from California’s spring ephemerals, bryophytes of springs, streamlets, and rivers to the great diversity found on rocky outcrops. Beginning bryologists are welcome, and they are planning some special activities for beginners, as well as serious fieldtrips that will be exciting for the hard-core. CLICK HERE for more info. An Introduction to Bryophytes will be offered by Dr. Stephen Timme in the botany lab on the Pittsburg (Kansas) State University campus on April 2-3. It is designed to provide an introduction to basic characteristics and techniques for identification of some of the more common species found in the prairie, oak/hickory forests, and rock outcrops in the central U.S. Techniques will include the proper use of the microscope, free-hand sections, terminology, and making semi-permanent mounts. The workshop will be topped off with a field trip. Contact Dr. Timme for more information (417-658-5473 / slt@pittstate.edu).